Georgian infrastructure remains underdeveloped, which could leave Anaklia disconnected. 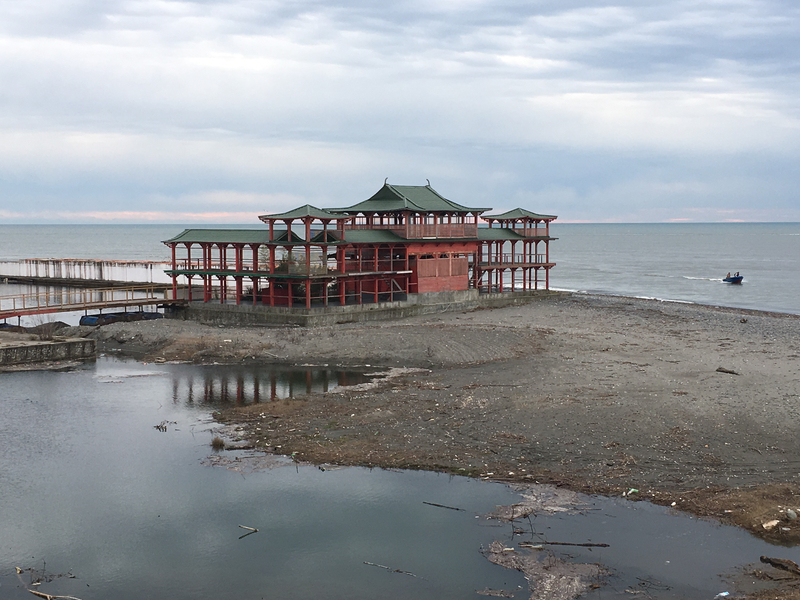 For years, Beijing has cast a shadow on a patch of swamp abutting Georgia’s Black Sea coast. Under former Georgian President Mikheil Saakashvili, ambitious plans were drawn up to turn this marshland into a Chinese-inspired “instant city” – a large cluster of skyscrapers that would be home to half a million residents. But Lazika – Georgia’s ambitious city of the future – was abandoned. Today, the site is blanketed by a vast array of interlocking tetrapods. These bulking concrete behemoths will form a breakwater to protect berthing ships from incoming waves. This is the foundation for the Anaklia Black Sea Deep Water Port, Georgia's bid to become a key link in China's sprawling Belt and Road Initiative. By 2025, the developers estimate the port will be able to process 100 million tons of cargo per year and could generate an extra half percent for the country’s economic growth rate. Once finished, the port will be the country’s largest – dwarfing existing ports in the Black Sea cities of Poti and Batumi – with the added benefit of being able to receive even larger ships. 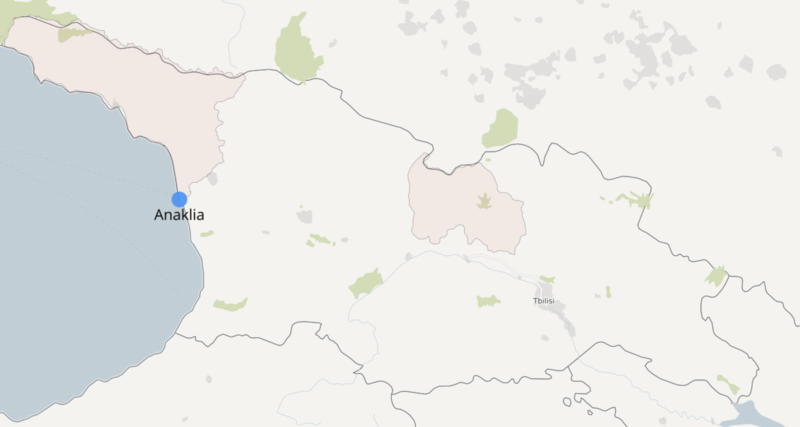 The choice of Anaklia as home to this new port also benefits Tbilisi: It lies just two kilometers south of the de facto border with Abkhazia, and is part of a strategy to strengthen the state's presence in the region. China appeared to suffer a setback in 2016, when the tender to construct the $2.5 billion port – initially expected to go to Chinese investors – was instead awarded to a group of Americans and Georgians, the Anaklia Development Consortium (ADC). Critically for Georgia, which faces an official unemployment of 12.5 percent, the ADC offered more favorable employment prospects than its Chinese rivals, with an estimated 6,400 jobs expected to be created for locals. And even in development, China isn't getting totally shut out: In December, the ADC signed an agreement with Chinese firm ZPMC for $50 million toward the port’s construction. For the West, the South Caucasus offers an attractive alternative to other Belt and Road trade routes. Russia has poor infrastructure, an unpredictable regulatory environment, and is engaged in a trade war with the EU. Georgia is also more geopolitically palatable than Iran, which remains a pariah in the West and has poor relations with many of its neighbors. Tbilisi also ranks favorably in global indices measuring corruption and ease of doing business. Crucially, Georgia’s Deep and Comprehensive Free Trade Agreement with the EU – signed in 2014 and effective since 2016 – is easing the way for Georgia to serve as a logistics hub. China followed suit with a bilateral free trade agreement that came into effect on January 1. Under the agreement, Georgia will eliminate tariffs on 96.5 percent of Chinese exports, while almost 91 percent of China’s imports from Georgia will become tariff-free immediately. The Chinese government first announced its Belt and Road initiative in 2013, calling it the “project of the century” and pledging to invest $150 billion every year in related projects. Georgia became directly involved in 2016 when it joined the Asian Infrastructure Investment Bank (AIIB), a $100 billion fund designed to finance Belt and Road projects. This year, Georgia signed an agreement under which the bank will provide $114 million to build the Batumi Bypass Road, a new highway to connect Georgia’s hinterland to the port city of Batumi through a series of mountain tunnels. But with China encouraging market competition between interchangeable corridors, the Anaklia port’s construction is no guarantee of its success. Indeed, elsewhere, some Chinese-funded Belt and Road projects have stalled amid concerns about economic feasibility and goals. Moreover, Georgian infrastructure remains underdeveloped, which could leave the port disconnected from the country’s network of free industrial zones (FIZs). To counteract this, Prime Minister Giorgi Kvirikashvili developed a so-called “Spatial Arrangement Plan” to improve the country’s roads. “By fixing all the roads we will build the backbone of Georgia that will connect all the regions. Then geographical location will not be a barrier for doing business or living there anymore,” said Kvirikashvili at the plan’s launch in 2016. The government seeks to build 550 kilometers of highway as well as repair 800 kilometers of roads. In addition, 300 new bridges and 50 new tunnels will also be built for an estimated $3.5 billion. All of this is aimed to better connect the new port at Anaklia with the country’s growing network of FIZs. The Anaklia port will also include a 600-hectare FIZ where companies from around the world will be able to produce goods and services for export, free from corporate and value-added taxes. Georgia already has set up similar zones around the country, attracting significant attention from Chinese investors.